Located 6.5 miles west of I-95 on Northlake Boulevard, Ibis is one of the area's finest world-class luxury gated communities. As the leading premier country club and luxury home specialists, Leibowitz Realty Group has been a leader in bringing qualified buyers to IBIS for both new and resale home purchases. Since the earliest development of this fabulous community, the Leibowitz team is known for providing the most knowledgeable and professional representation and sales results to both Ibis sellers and buyers. Michael and Andrew Leibowitz specialize in Luxury Homes as well as Country Club Homes for sale in Ibis. 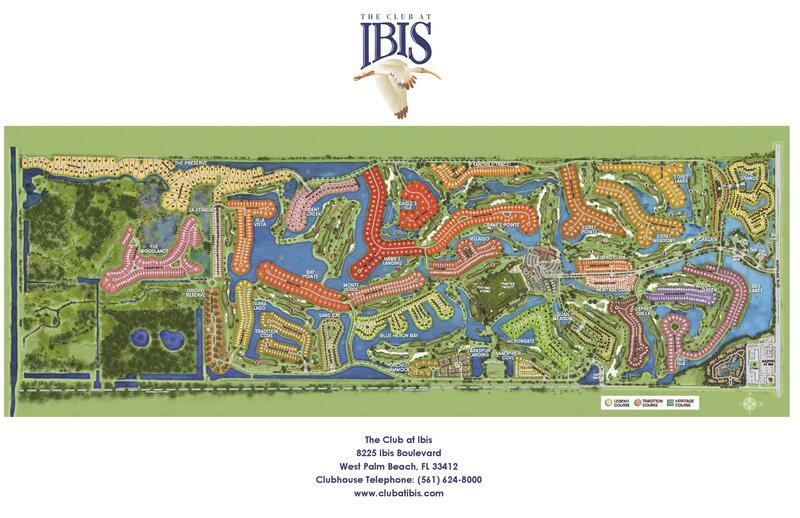 When buyers purchase Ibis Real Estate they gain access to 54 holes of golf, tennis, fitness center and fine dining. This is a large, exclusive community, built to meet all the needs of their residents. With 14 tennis courts, 1,000 square foot aerobics studio and fine restaurants for breakfast, lunch and dinner - living in an Ibis Country Club home is like living on a resort. Ibis Luxury Properties are available to fit every budget and size requirements. Homes vary in size from just more than 1,500 square feet to over 8,500 square feet. Prices are also varied from $150,000 to $4 million. With such a variety of homes, buyers need to Find a Realtor in Ibis that knows the land and the best locations. Leibowitz Realty Group has worked with buyers and sellers in Ibis for more than 18 years making us a premier real estate group. We are so confident in our abilities to sell Real Estate in Ibis that we have opened a second office just outside of the development in the Publix shopping center. Please stop in and talk to one of our agents about the the Ibis homes for sale opportunities. During our time selling Real Estate in Ibis, we have been asked every question, worked with the most difficult buyer expectations and the tightest buying budgets. There is a home in Ibis for every buyer and Leibowitz Realty Group will help buyers find that perfect home the first time, every time. Our experience also helps us find affordable homes for buyers who want to move into The Club at Ibis area as a primary home or a vacation home. We offer three promises to every buyer and seller seeking the expertise of Leibowitz Realty Group - hard work, commitment and integrity. Our agents are available when buyers have questions or simply want to talk about local listings on the Ibis Country Club Real Estate market. Buyers and sellers can rest assured we will be there 24 hours a day / 7 days a week to answer calls. Click here for 2108 THE CLUB AT IBIS MEMBERSHIP INFORMATION or contact Michael or Andrew Leibowitz today by phone 561-262-0721 or 561-262-0722 to view the current real estate listings available in Ibis. Golf - 54 holes of championship golf on three Nicklaus championship designed courses, with tennis pro shop and a talented staff of professional golf instructors. Tennis - 14 Hydrogrid clay tennis courts, lit for evening play, with tennis pro shop and a world-class USPTA certified instructional staff. Fitness Center - A wide array of state-of-the-art strength training and cardiovascular equipment. plus a separate 1,000 sq. ft. aerobics studio with professional instructor staff. In addition, 2 fitness rooms for spa treatments. Fine Dining - For every occasion, from breakfast, lunch with friends or family to intimate evenings for two, you will discover an enticing menu for dining options.